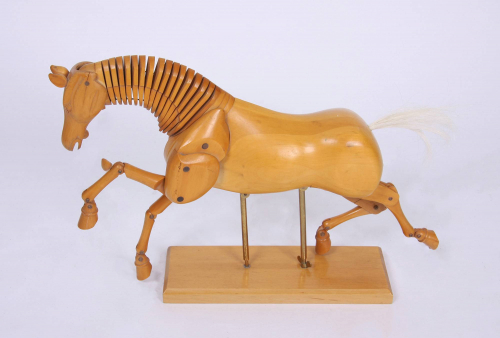 A lovely original artist`s model of a horse. Fully articulated and adjustable height. White hair tail. On wooden base.